As I have reported before, Repetitive Stress Injury (of which Carpal Tunnel Syndrome is a part) is one of the two occupational hazards musicians face regularly. 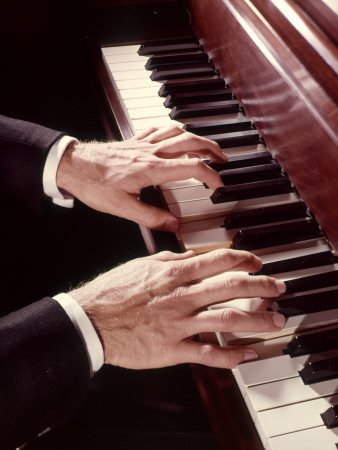 Every singer and instrumentalist needs to be aware of the dangers of repetitive stress injury. The onset can be very rapid, and our tendency is to shrug off a sore throat or aching wrists, arms or fingers. However, those aches and pains are warning signs that something is very, very wrong. Denying their importance is career suicide. Any ache or pain (except accidents) caused by playing or singing is a fault in basic technique. If you have even a twinge of pain, your basic technique should be re-evaluated immediately. Don’t wait. Don’t say, “It’s not that bad.” Don’t wait until morning and say, “It’s better now.” I know many too singers and instrumentalists who said that until their careers ended in surgery that never fixed the problem. Instead, isolate the action that causes the pain, study the function of the muscles involved, and see how that action can be made more efficiently (that is, using your muscles in the way they were designed to work). If you cannot play or sing for hours on end without any fatigue, then your technique needs immediate revision. It is my wish for 2012 that everyone who sings or plays an instrument has a pain-free and productive life. If your teacher is not providing instruction on RSI prevention, please, immediately, fire that teacher, and find a teacher who does provide it. You have nothing to lose but your pain. Don’t put your performing career at risk for the sake of the bond you have with a teacher who does not understand RSI prevention!